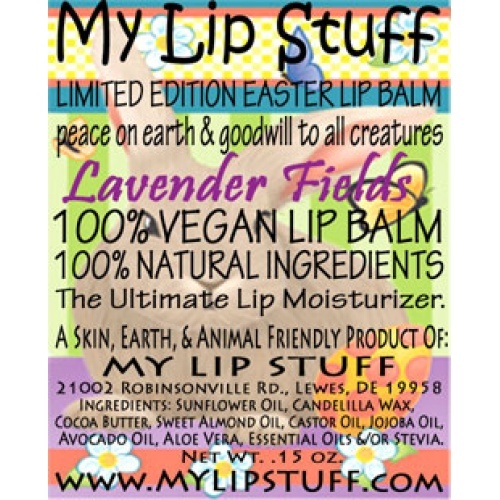 *Limited Edition EASTER lip balm! Lavender Fields: Lavender essential oil with a touch of sage. Sweetend with stevia.